The building and finishing materials used in hotel construction and/or renovation play a large role in the attraction of customers. Making guests feel comfortable and having them believe that their money was well spent is vital to maintaining a high volume of repeat business. Hotel property owners know all too well how a tastefully designed interior can lead to positive reviews because of the lasting impression made on all who enter the premises. Natural stone is one of the primary accent materials used in hotel interiors. Older hotels scheduled for renovation often contain marble, granite, or travertine tiles, countertops, and floor saddles. Whether it be for new construction or a complete interior makeover, finding the right color and style of natural stone is essential. Obtaining wholesale commercial natural stone for hotels and resorts is easy, requiring just a simple contact with a direct importer/distributor. A hotel lobby finished with natural stained wood paneling and plush carpets looks very nice, but this commonly designed interior pales in comparison to the impression received by an individual who enters a lobby finished with travertine walls, granite or marble countertops at the reception area, and marble floor tiles. The latter speaks volumes about the hotel’s commitment to guest pampering and servicing. The guest suites will look fine if decorated with textured sheetrock walls and ceramic tile bathroom floors. The same guest room will look magnificent if accented with marble. Beautifully veined and splotched marble sills, thresholds, and shower curbs make the guest feel like royalty. Marble and granite are the popular stone materials used in hotels. As far back as 2,000 years ago, wealthy citizens in the Mediterranean area tried to outdo each other with spectacular residential and guest inn designs. Natural stone is heavy and was very difficult to transport in those days, and it therefore meant a huge cost to anyone wanting a supply of these materials. The very process of extracting marble or granite from quarries was itself an expensive undertaking. In the centuries that followed, marble and granite became symbols of wealth and fine taste. It is no wonder that many of the building projects completed over the past few centuries feature these magnificent natural stone products. Marble columns, travertine patios and bath stalls, granite countertops, and natural stone thresholds and window sills have been a staple of interior design in government buildings, high-end residential projects, and luxury resorts. Hotels dating back over one hundred years often contain the same marble or granite sills and floor tiles installed when the building was first erected. It is rather easy to find a good piece of marble, granite, or travertine at the local flooring products retailer. It is altogether another problem obtaining bulk quantities of these natural stone materials at a favorable wholesale price. This is the dilemma facing contractors and independent installers charged with the job of finishing off a hotel interior or renovating an existing structure. A direct importer and distributor offers better per-piece value. Stonexchange is a Florida-based natural stone importer that owns and operates its manufacturing centers. Our company is a prime example of how costs are reduced through direct importing and distribution of the materials sought by commercial clients. We specialize in granite, marble, and travertine, and we offer the lowest prices in the industry because we deliver only full-crate or full-pallet orders. The secret to offering such low prices on commercial natural stone materials is really no secret at all. The major cost of these products lies in the extraction and fabrication procedure as well as the shipping and import charge. Brokers and resellers often buy large quantities of natural stone, but they sell to distributors once the product has arrived in the United States. This significantly increases the final cost of the product, meaning that the advertisement of wholesale material is really nothing but a sales gimmick. Stonexchange operates on a completely different principle. We do not involve ourselves with middle-level salespeople. Instead, we operate our own manufacturing plants, take charge of the import procedure, and distribute our materials from our Miami-based warehouse directly to commercial clients. Stonexchange is the right choice for construction companies and installers. A new hotel construction project or a renovation procedure on an existing structure involves a huge number of similar items. A large hotel with 300+ rooms may require as many as 600 window sills and floor thresholds, 300 bathroom countertops, and 300 shower curbs. The floor material may be of marble or travertine, and the total square footage required is staggering. The wholesale importer and distributor comes to the rescue. Flooring product outlet stores buy large quantities of natural stone products from a wholesaler, but the best price for the end-user comes from purchasing materials at an outlet that does business with the manufacturer. Being able to obtain thousands of pieces of choice natural stone material at any time of the month and any season of the year is what can make or break the merchant’s business operation. Stonexchange is constantly importing and distributing huge container loads of marble, granite, and travertine, and we can fill most domestic orders in just a few business days. A good example of an order of natural stone products for use in hotel construction would be one that contains three or four different shades of marble for the window sills and thresholds, two or three different shades of marble or granite for the bathroom countertops, and as many as five or six different marble tile patterns for the guest suite floors. This is true because most luxury hotels offer several different price levels on the guest suites, each with its own decorating and design accents. An installer winning the bid for the laying of tile and the placement of thresholds and sills will need to find a reliable source of product, either through a single order or several smaller deliveries. He or she will be delighted to know that Stonexchange not only guarantees the lowest price on top-quality commercial natural stone materials, we also have a very low minimum piece requirement in order to take advantage of these rock-bottom prices. Our company does not charge extra for a recurring order process because we know that this type of construction project often comes in phases. We also understand the requirement for custom-sized and non-standard shape pieces. We do not charge extra for the fabrication and shipment of these materials, although the lead time needed to process these orders may be as long as eight weeks. The goal at Stonexchange is to provide the best-quality product at a cost unrivalled in the industry, and also to make certain that the color, style, and size of the material is exactly what the job order specifies. Stonexchange imports and distributes wholesale-priced marble, granite, and travertine as well as mosaics and insets. Flooring companies, installers, construction companies, and independent installers can take advantage of our rock-bottom prices on some of the world’s finest quality natural stone. Our products include granite and marble tiles for floors and countertops, sills and thresholds made from marble or travertine, and travertine tiles for bathrooms. All of the popular color shades are available. Our marble tiles, sills, and thresholds are available in White Carrara and Crema Marfil. White Carrara is an excellent choice for building orders specifying Alabama, Cherokee, Georgia, or Vermont marble styling. Our superior-quality Crema Marfil is a perfect match to the generically labeled Bursa and Botticcino shades. We also carry the popular Absolute Black Granite tile and sill product. These are commonly seen in hotels and resorts, and the color perfectly matches Galaxy granite. Our thresholds are also available in these natural stone materials as well as in the medium shades of travertine. A direct distributor of commercial natural stone products is the best choice for getting a reasonable wholesale price on mix-and-match orders. As previously mentioned, the materials needed to complete a large development project vary because the different guest rooms are decorated according to their style designation. Stonexchange can set up a delivery of multiple product types, sizes, and shades. We deliver directly to retailer merchants, storage facilities, and construction job sites. Merchants looking for a reliable source of top-quality granite, marble, and travertine are invited to check out Stonexchange and see just how we differ from our competitors. Not only do we offer wholesale prices on commercial orders of natural stone materials, we also have one of the most reliable delivery operations in the industry. Independent installers can receive immediate price quotes and delivery details on full-crate or full-pallet orders. We ship throughout the continental United States. Take a moment to contact us for all the details concerning minimum order sizes, delivery schedules, and custom orders for non-standard items. Stonexchange offers commercial clients an exciting alternative to the high-priced natural stone materials available from resellers. Take a moment to compare our selection and prices to that of the competition. You will be pleasantly surprised. Breccia Oniciata is very unique marble from Italy. 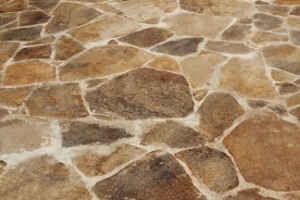 It's hazel, salmon and brownish tones makes this stone a very elegant product.